First, let me say a huge thank you to Donna for having me on! Thanks so much. Where do you live? In a house. Next! Actually, I live in a very small town in Oklahoma that has only two stoplights—one of which was put in only three years ago. This particular “town” is actually no longer really a town as just a few months ago, the address I live at changed “cities”. I still have rural water and trash, and if I call 911 nobody knows who is to come because if I call from the front of my house, the call goes to one county and if I'm in the back of my house, the call is routed to a different county. Smalltown, USA right there. If you weren't writing books, what would you do? Crunching numbers. My degree is actually in business administration with an emphasis on accounting. Accountants are the same as writers, they just express themselves with a calculator instead of keyboard. Two truths and a lie: 1. I was a teen mother. 2. I married my high school sweetheart. 3. My husband is two inches shy of being a foot and a half taller than me. Excluding your books, what was your biggest accomplishment of 2012? That I rode 150 miles on the back of a tandem bicycle with my husband without ever once uttering the word divorce! In September we rode our tandem bicycle from Tulsa, Oklahoma to the capitol building in Oklahoma City for roughly 150 miles spread out over two days as a fundraiser for MS. We'd had very little training and the longest we'd ever ridden before this was twenty-six miles at once, so more than seventy miles in a day was quite a challenge! But we survived. Do you pull any of your book ideas from your family? Absolutely. There are so many things in my books that are just twists on things that I've been through or that I've encountered in one way or another. As they say, write what you know. That's exactly what I do. What are the hardest scenes to write? Love scenes. Believe it or not, these are some of the toughest scenes to write because you have to portray emotions though facial expressions, reactions and a very few murmured words (the less, the better during these scenes) all while describing two people sharing the most intimate bond there is. Not to mention, I always get a little red in the face and keep glancing over my shoulder to make sure nobody has walked up on me while I'm doing these. It's even worse when I go back to re-read them for edits. At least with writing them, I can get up, walk around and fan myself off. When reading it straight through, I have to sit there and read it all right then! What are your hidden talents and hobbies? I have a few hobbies: attempting to scrapbook, burning dinner, pretending I play the accordion, being chased by my five and seven year old through the backyard or chasing after our pom-a-poo (half-Pomeranian, half-Toy poodle) named Sir Rhett at 3am in the backyard wearing not much more than a T-shirt and knickers. Talents? Yikes, I don't know if I have many of those, either...well, except I can without fail make my kids laugh, which, let's face it, at this age is vitally important as it keeps them happy and I know in a few years, I won't be nearly as much fun for them to be around. Any advice for aspiring writer? Keep at it and be true to your characters. It's easy to feel pressured to bend your story into what you think will make others happy, but resist the urge! I'll far better remember a unique story than I will one that I feel like I've read before. And when you feel like you're not making progress, don't panic. Some stories come slow, and that's okay. Your story is as unique as you, keep it that way. What do you have planned for 2013? More books! I have one that will come out the end of January, titled His Jilted Bride, then another that will come out in April and is the last in the Banks Brothers' Brides series, titled His Brother's Bride. Then onto the American West for me. Hopefully, I'll have four new books come out this year! Thank you again, Donna, for having me and for all of your readers for reading it. I've enjoyed answering your questions. USA Today Bestselling Author Rose Gordon has written ten unusually unusual historical romances that have been known to include scarred heroes, feisty heroines, marriage-producing scandals, far too much scheming, naughty literature and always a sweet happily-ever-after. When not escaping to another world via reading or writing a book, she spends her time chasing two young boys around the house, being hunted by wild animals, or sitting on the swing in the backyard where she has to use her arms as shields to deflect projectiles AKA: balls, water balloons, sticks, pinecones, and anything else one of her boys picks up to hurl at his brother who just happens to be hiding behind her. Have a question of your own for Rose? Leave it in the comment section. Well I do have a question for Rose, but she knows what it is and so far is keeping mum about the answer. I'm hoping at this point the answer will come out in one of her future books. Anyways great interview Rose. It give us impatient fans something to read while we wait oh so patiently for your next book. I know EXACTLY what your question is and it'll just have to wait! Great interview!! I love Rose Gordon's books. I've reread The Scandalous Sisters series too many times to count. Looking forward to her new releases! I have been reading Rose Gordon's book the last 2 weeks (just discovered her books). I completed the Scandalous Sisters, the Groom Series, and am starting the Banks brothers, so HIS JILTED BRIDE is coming out just the right time for me. I can't wait. I'm glad you've enjoyed my books, Linda! Thanks for stopping in. I would love to know which character would she say is most like her. It would be such a temptation to write yourself into the book. This is hard to say... I can see a bit of myself in almost all of the characters (even the bad ones). I think though if I had to narrow it down, I'd say personality wise, I have four heroines who each have a large large part of my personality: love jokes (Brooke), drip sarcasm (Madison), have a tendency to have things backfire on me (Juliet), obsessed with science (Caroline). Looks wise...I'd have to go with Juliet with the giant glasses and the small chest (at least until I had kids!). Love your books Rose....and I'm very much looking forward to this latest release, how many books will be in the Banks Brothers Brides series? Thanks, Joy. As of right now, there will only be four books in the Banks Brothers' Brides series with Contract, Yankee, Jilted and Brother's; however, I do think Carolina's brother Gabriel deserves a story... But since he's not a Banks, I don't know if it would belong in this series or not. So in short, only four, but maybe five. Gabriel totally deserves a book somehow. just saying. No you're not immature, I think it's just human nature to get uncomfortable reading those types of scenes when other people are around. I have one of those gigantic Mac screens (much easier on the eyes when you sit behind a computer all day) and I live in terror that I'll be typing away in my 36 size font and someone will come in the room and see what I'm writing. Rose knows how deeply I love the Banks family, so my question is, even though the last Banks brother book will be coming out, will she ever revisit them in the future? Yes! I wrote a character so minor he was mentioned only twice in HER IMPERFECT GROOM who will have a story that will take him and his hero into one of the Bankses homes again. Also, in my upcoming book, HIS JILTED BRIDE, I did the same thing, except this chap has more than just one or two lines. It'll be a while before I get around to these fellows, but I purposely mentioned them now so I could connect back up with the Banks family later even though they won't be main players. Donna, Thanks for all the information that you got Rose to share! 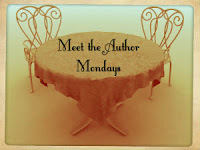 I always find that when I learn more about an author the more that I get out of their stories! Rose - I was thrilled to find out that the last two books from the Bank Brothers series,His Jilted Bride and His Brother's Bride, would be released in January and April! Whenever you write a new series I always say to myself that it's your best one yet and the Bank Brothers series measures up to all your previous ones! Thanks for all the wonderful hours of reading you've shared with me and all your readers! My question is "what's coming out next! ".